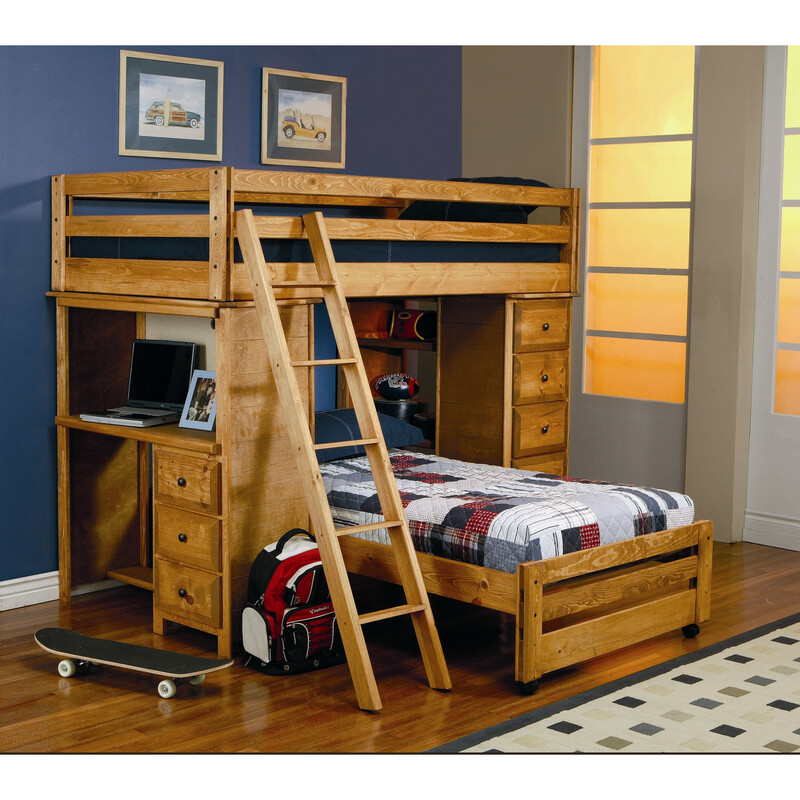 Bunk beds are bed with creative design. 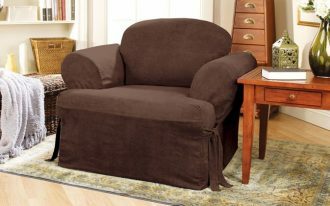 This kind of bed is placing the bed on the top and gives more space to the bottom part. 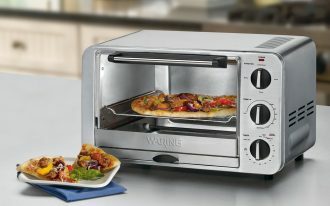 That bottom part is usually designed for desks. 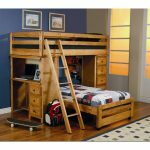 Bunk bed is very suitable for your kids bed or minimalist bedroom type. 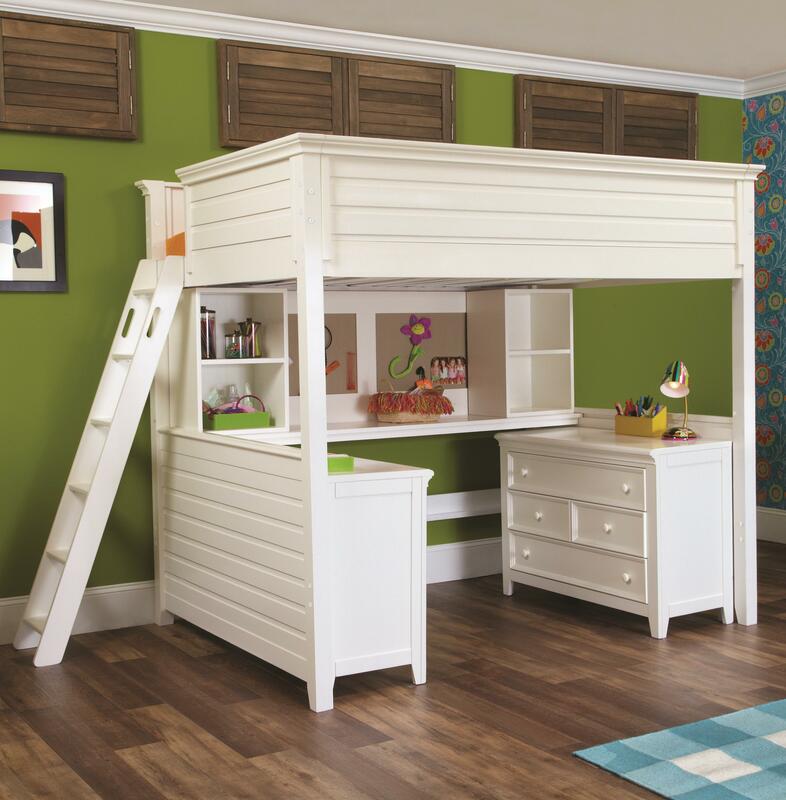 The desks can be placed under the bed or next to bed frame based on your bunk bed purpose. 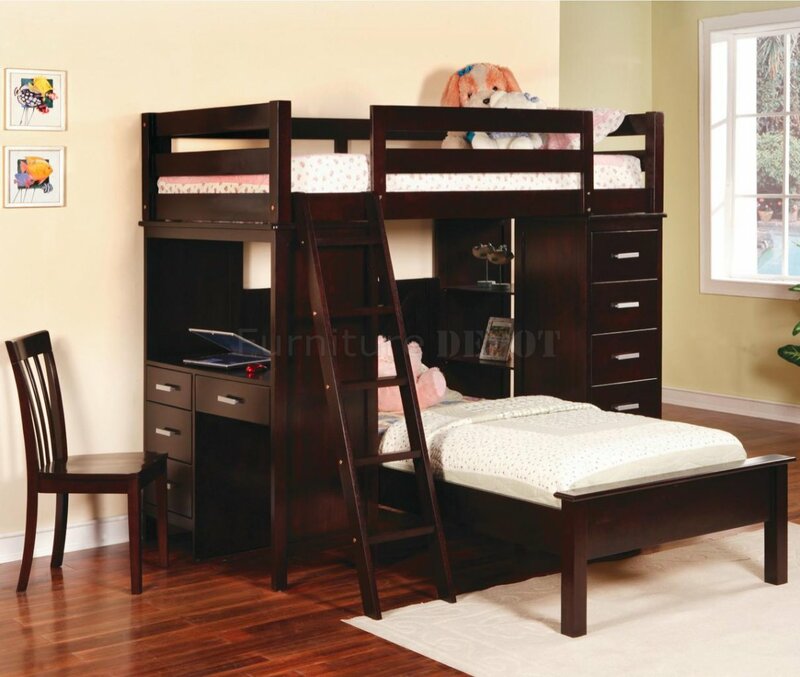 The position of the bunk bed will decide your room maximally used. 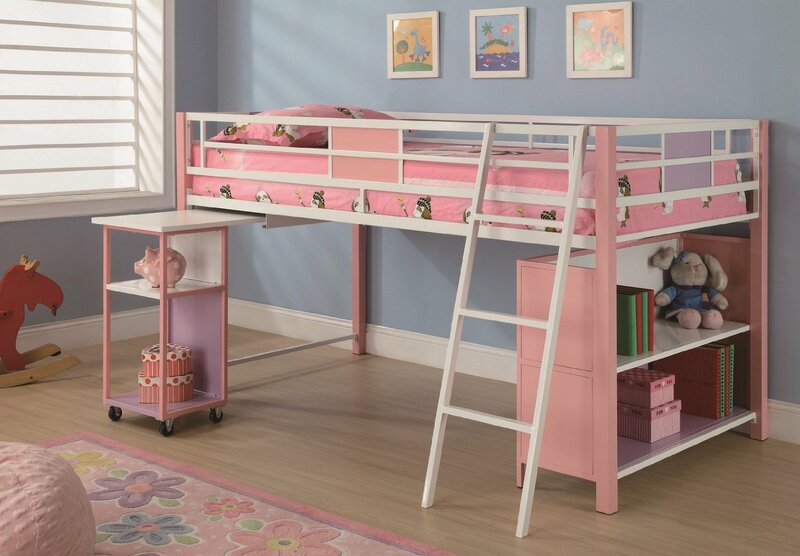 If you have no more bedroom stuffs to put inside your bedroom, so having the desk under the bunk beds is okay. 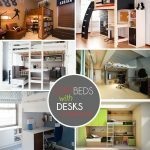 Desk under the bed has to be arranged perfectly, especially the storage place like drawers, the height of the desk for your comfortable, and also suitable chair. 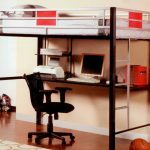 Make sure you have tried the position when you sit on the chair faces to the desk, your head is not really close to your bunk bed bottom surface. 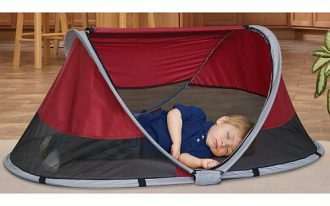 You will avoid hitting your head to your own bunk bed. 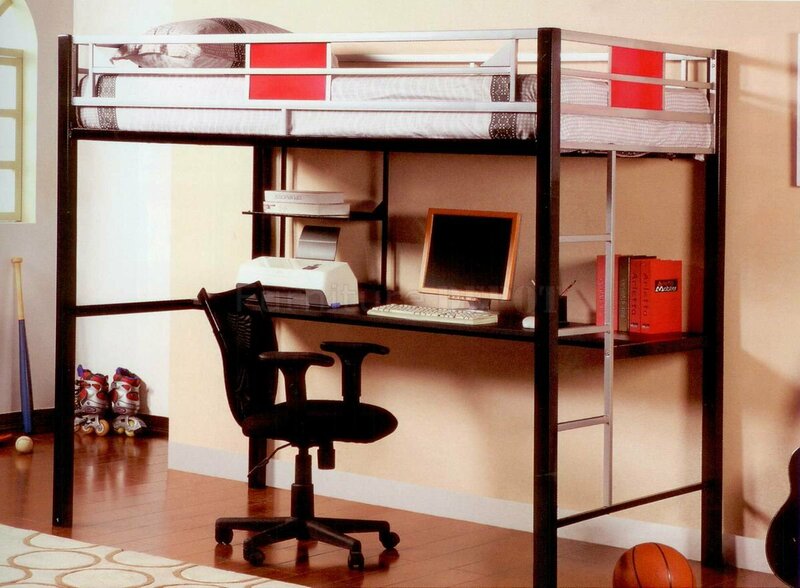 Desk on bunk beds is not only located under the bed, but it can also be placed next to bed. 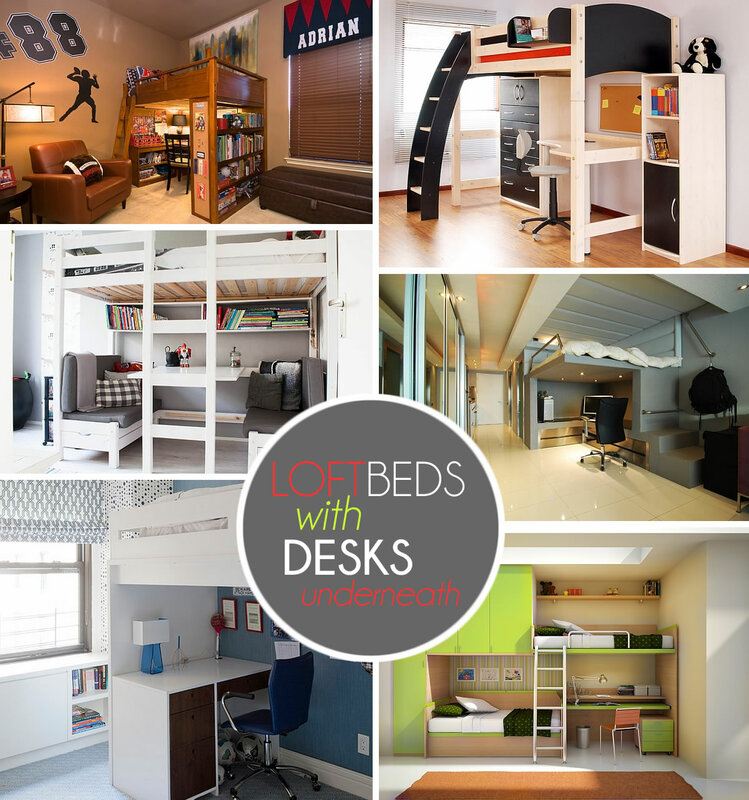 If the desk is located next to bed, what about the free space under the bed? 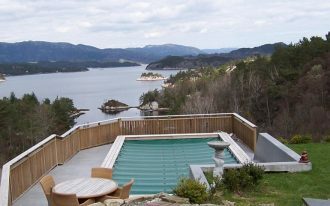 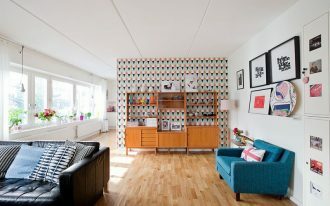 You can use it as something else, for example as storage place area. 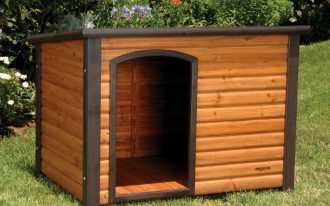 Cabinet or drawers are perfect storage place to fill it up. 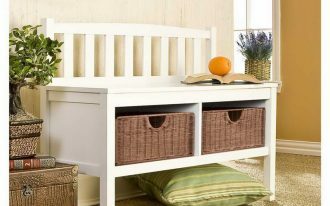 You can use the cabinet as your kids closet or drawers as your kids toys storage. 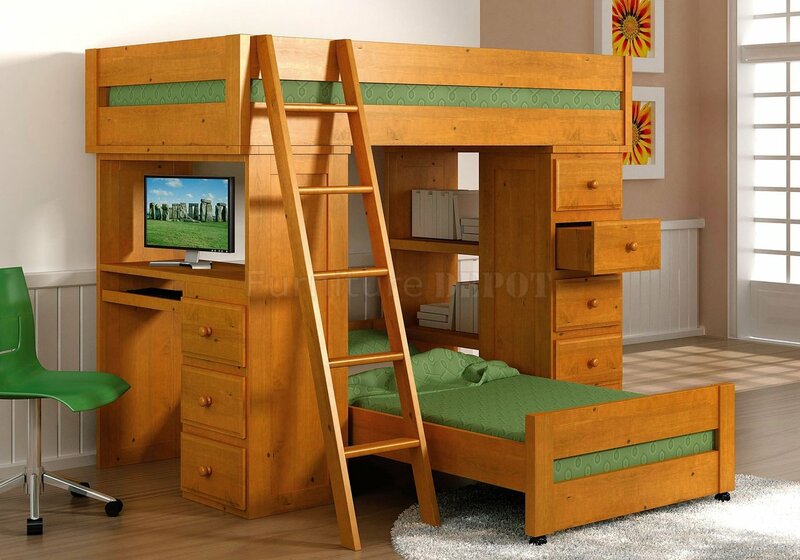 Bunk bed with desks surely comes with the bed stairs. 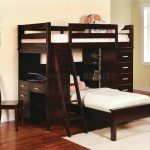 For more idea, you can create bunk bed stairs from some drawers, so you will not only have the useful stairs but also additional storage place.